← Sweetheart of the Rodeo. Still. John Walter’s brilliant documentary, reviewed for DCist. 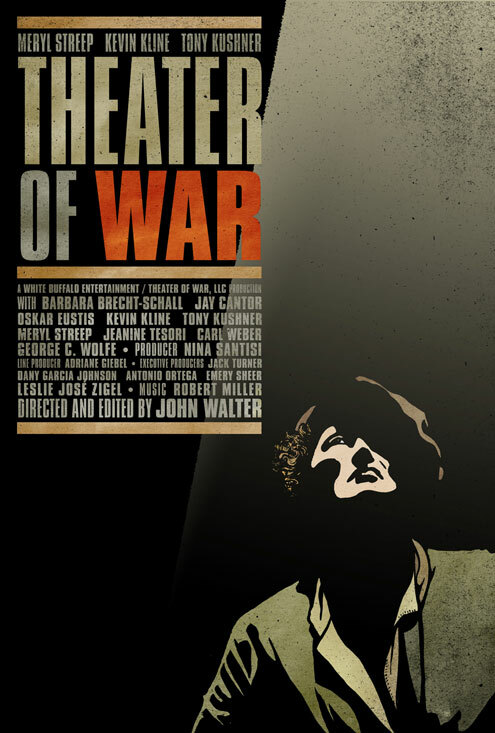 UPDATE 6/26/08: I got a nice e-mail about the review from Theatre of War director/editor John Walter, who reports that he is shopping the film around for a distributor. Best of luck to you, John! It’s a great documentary, and it deserves as wide a release as it can get. This entry was posted in apocalypse, art, cinema, DCist, eavesdropping, hypocrisy, infamy, job insecurity, lederhosen, quagmires, rage, surveillance, theatre and tagged Bertolt Brecht, Iraq, Nazis, Tony Kushner. Bookmark the permalink.